We have onward travel insurance so if you are going to the airport or seaport, and there should be an unfortunate breakdown, we can get another vehicle to take you on your way, without any long delays for you. Our well maintained fleet of vehicles offers an affordable and reliable service in the local area. All our drivers are police checked and hold valid Hackney Carriage and Private Hire Licenses. They all have a good local knowledge to get you to your destination as quickly and safely as possible. 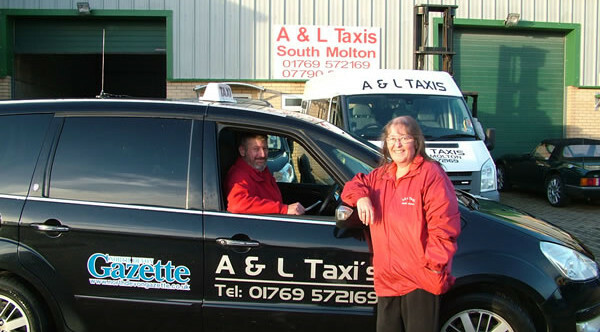 A & L Taxis are not limited to what we have displayed on our website or our adverts. If you are looking for transportation services for anything please contact us to find out if we can help. Train Station Drop off and Pick Up. Ferry port Drop Off and Pick Up. If you want transportation for anything that is not listed here all you have to do is give us a call on +44 (0)1769 572 169 or use our contact form to find out more about our reliable and affordable taxi services.